Last month, I was sent a box of Belgian beer to try. It's from the Belgian Beer Discovery people which appears to be a similar idea to Beer52 (still working my way through that box). Belgian Beer Discovery are trying make a bigger impact in the UK so they have a website dedicated to the UK market. This website includes the cost of shipping in the price. You can have your monthly delivery from £26.90 or to Ireland (Republic) for €19.90 plus €17 shipping. This works out at pretty much the same as the UK price once converted. Here's what the inside of the box looks like. Each bottle is individually wrapped in bubble wrap and separated by cardboard. The bottom and top of the box are also lined in bubble wrap making the whole box very secure. You are unlikely to suffer any breakages. Taking everything out of the box, I was presented with a glass, bottle opener, a magazine and a beer menu that described all of the beers. Typically, you only get 8 x 330ml bottles* and a menu. There is an option to add a glass from the brewery and some other goodies if you wish. I'm not actually sure how much the optional extras cost offhand. The beer in the box is typically from a single brewery. It's always going to be a small or medium sized brewery so don't expect bottles of Leffe or Duvel. 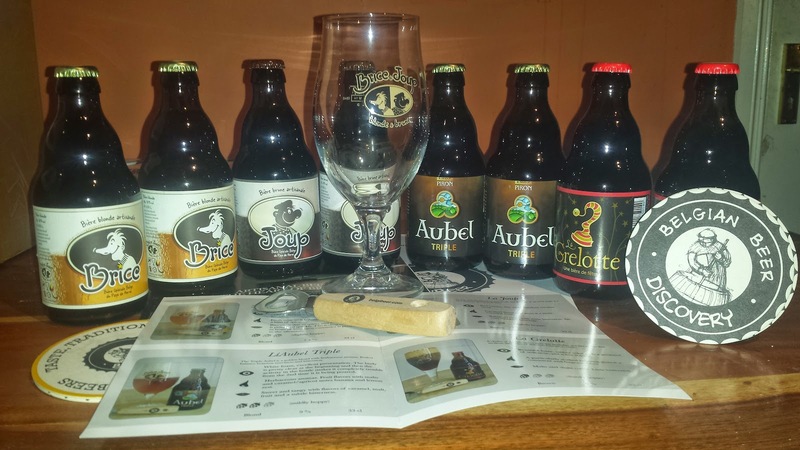 In my beer box, I got 4 beers from Brasserie Grain d’Orge in Hombourg. There were two of each so I could share them with my wife and get her thoughts. 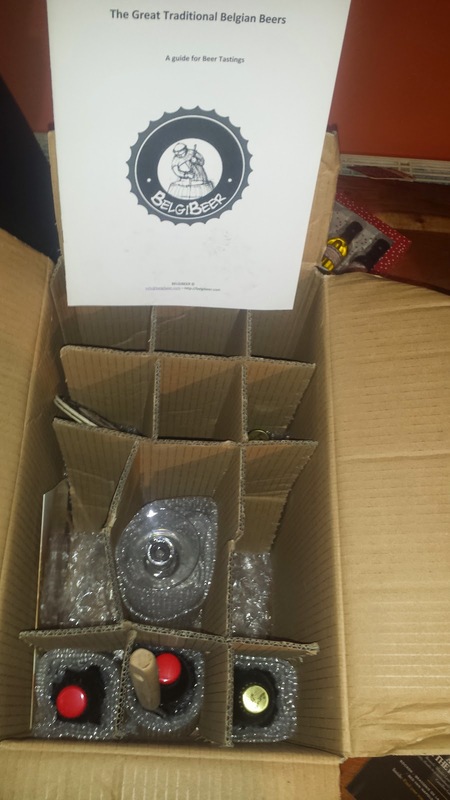 This review is about the box and not the beer that happened to be in the box that I received. I enjoyed the beer that I got and it's exactly what was promised. 8 bottles of beer from a small craft brewery in Belgium. 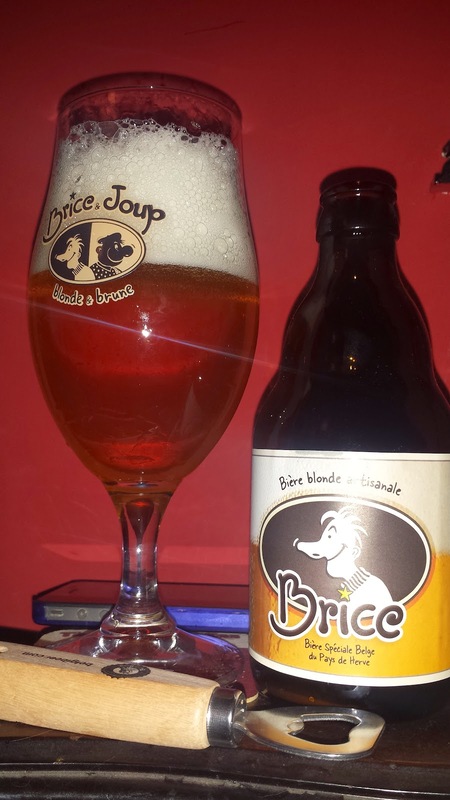 I thought that Brice and especially Joup were pretty good beers. Both were 7.5% and tasty. The other two were Aubel Triple and Grelotte, both 9% I liked the Aubel but to be honest, Grelotte left a lot to be desired. It seemed overly sweet and sugary without anything interesting to balance it out. It was also a big of a gusher, both bottles were actually. The idea is sound. You get beer from small batch producers in Belgium. Beer that is likely not available in Ireland or the UK. If you are an armchair beer ticker then it's ideal. You are clearly paying a premium for the service because of the shipping charges. If my maths are correct, the average price for a bottle of 330ml beer is about €4.61 each with this service. Not cheap but then, you would likely have to travel to Belgium to find most of this beer and even then, it might not be an easy task. The real benefit here is as a gift. Something for that person who has everything. Someone like me actually. * Beers are in 33 cl or 25 cl bottles. Occasionally they might replace these bottles with 4 x 750ml bottles or 6 x 500ml bottles.